Mr. Bibhuti is chief editor of this journal and chairman of B.Brains Developemnt Society. 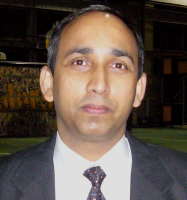 He is also Director of TekBrains Pvt. Ltd,a Complete Electronics system design and manufacturing company. He has qualified his Master in Physics (Advance Electronics) and Master Of VLSI Design and having 15+ years of industrial experience in Digital Image Processing, Telecom and Multimedia based FPGA/ASIC technologies. Dept. of Biological sciences, King Saud University, Saudi Arabia. Asst. Director, Metal Extraction Division, National Metallurgical Laboratory, Jamshedpur. 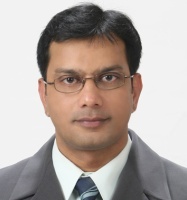 Dhananjay Kumar received his Bachelor of Science in Geological Sciences in 1998 and Master of Science in Exploration Geophysics in 2000, both from Indian Institute of Technology Kharagpur and a PhD in Geophysics in 2005 from the University of Texas at Austin. Since 2012, he is a geophysicist at BP, Houston. Earlier he worked one year for Reliance and 7 years for Chevron. His research interest includes, reservoir property predictions from seismic, seismic modeling and inversion, rock physics and 4D seismic, shale gas and gas hydrates. He is a member of SEG, CSEG, GSH and SPG North America Chapter. Research Scientist, Carnegie Mellon University, Pittsburgh, USA. Zoological Survey of India, Patna. Dept. of Physics, IIT, Kanpur. Dept. of Nanotechnology, Aryabhatt Knowledge University, Patna. Dept. of Physics, College of Commerce, Patna. Dept. of Biotechnology, University of Hyderabad.